Part 1 of this blog looked at how peoples’ preferences in the EU referendum varied by age – but we need to know how their turnout varied in order to say whether young people were under-represented or not. What does data on turnout show? The problem with looking at how turnout varied by age is that the data are even sparser than they were when we tried to answer the question of how different people voted by age; only two credible sources of data have appeared so far which attempt to answer this question, and they reach totally contrary conclusions! Shortly after the referendum, the statistic that only 36% of 18–24 year-olds had voted began appearing in the media, often in a context where young people were being blamed for not bothering to participate in large enough numbers. As the linked article explains, the source of this figure was a single poll undertaken by Sky Data, which asked its sample group during the week before the referendum whether they were “certain” to vote on 23 June. This poll confirms the general impression that there was a strong age gradient in turnout (it suggests that as many as 83% of over-65s may have cast votes), which supports the observed pattern that counting areas containing a larger share of over-65s had higher turnout. However, at the end of the day this was just another poll, which means it suffers from the same weaknesses that were outlined in Part 1 of this blog. Since the Sky data came to light, a different source has appeared which suggests the trend in turnout was quite different, muddying the waters even more. This alternative data came from a team of researchers at the London School of Economics (LSE), who undertook their own survey of 2,113 British adults between 24 and 30 June as part of a project called “Inside the Mind of the Voter”, which is investigating electoral psychology. Their contention that young people were emotionally invested in the result was confirmed by their other findings, which looked at how voters responded to the referendum outcome. Overall, almost a third (32%) of their sample group said that they “cried, or felt like crying” when they heard the result, a figure which rose to 47% among voters aged 18–24. 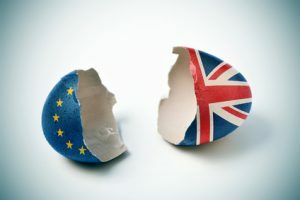 Since the referendum, young people have been especially vocal in various anti-Brexit campaigns which have come to life on social media, as well as at the “March for Europe” rally which was held in London on 2 July. Clearly, the discrepancy between these two sources of data is bigger than you would normally expect to find between two polls which asked broadly the same set of questions to broadly the same types of people; in order for them to both be accurate, either very large numbers of young people must have changed their minds about voting just before referendum day (which could possibly have happened, but seems unlikely), or very large numbers were deceiving the LSE team about having actually voted, perhaps in order to justify their displeasure with the outcome (an effect which the researchers were specifically controlling for). As it stands, the problem is that the two sets of results would furnish two totally opposing understandings of how well young people were represented, and how seriously they took the referendum more generally. Therefore the question of whether young people were really under-represented during the EU referendum will have to remain open, although we will get a better idea when the British Election Study – an academic body which exists to research voting behaviour – produces its final report on the EU referendum at some point later this year, as this uses a much larger sample group than any of these other polls. Worryingly, the LSE research did also highlight the extent of young voters’ displeasure with the outcome, and the people who they blame for it; one of its authors said that the referendum’s result had generated feelings of “sadness, but also ones of anger and frustration at people who voted to leave, and often at older generations.” It seems likely that the referendum will affect the relationship between different generations for a considerable period to come.